Founded in 1994, SMART has grown steadily since its inception, and now offers more than 2,000 local meetings, and is available in many countries around the world. See our video (below) for how SMART Recovery fits into the history of the recovery movement in the United States, and a chronology of SMART’s milestones following the video. Recovery historian Dr. William White presents a brief history of the recovery movement in the United States, with the focus on how SMART Recovery fits into that history, as well as the significance of SMART Recovery’s approach. This presentation was made for SMART Recovery’s 20th Anniversary and Annual Conference and presented at the National Geographic Headquarters in Washington, D.C . Compiled by Shari Allwood, Executive Director of SMART Recovery, and William White, Ph.D.
Jean Kirkpatrick, PhD, founds Women for Sobriety, the first secular alcoholism recovery alternative to Alcoholics Anonymous. Jack and Lois Trimpey found Rational Recovery (RR). Rational Recovery meetings spread in the US. Articles in the Boston Globe and the New York Times as well as television coverage on such programs as The Today Show stimulate interest in rational approaches to addiction recovery. The Globe article alone generates more than 400 calls about Rational Recovery. First RR meeting takes place at a hospital: Mount Auburn Hospital, Cambridge, MA, 1990. There are 14 RR groups meeting in the US. Jack and Lois Trimpey host the first meeting of the informal board of professional advisors to Rational Recovery in February in Dallas, Texas. A number of the individuals who will later start SMART Recovery are in attendance. Rational Recovery prison meetings start at MCI-Concord (MA) October 6, 1992, led by Barbara Gerstein, RN, and Wally White. Prof. Marc Galanter (NYU) and colleagues conduct a survey study of participants in 30 Rational Recovery groups throughout the US. They conclude that RR engages participants and the likelihood of abstinence increases with the length of participation. Survey study of Rational Recovery groups by the West End Group, Massachusetts General Hospital, and Harvard Medical School reaches the same conclusions as the 1992 Galanter group study. Rational Recovery training conference is held at Hyatt Harborside Hotel in Boston in conjunction with a scientific meeting featuring James Prochaska and Tom Miller as the main speakers. The meeting is sponsored by Hampstead Hospital of New Hampshire. At this meeting, a non-profit board of Rational Recovery Self-Help, Inc. is established with Dr. Joe Gerstein serving as President. This new non-profit entity marks a separation from the for-profit Rational Recovery. The non-profit board of Rational Recovery Self-Help, Inc. votes at its annual meeting in San Diego to end its affiliation agreement with Rational Recovery and incorporate as the Alcohol & Drug Abuse Self-Help Network, Inc., d.b.a. S.M.A.R.T. Recovery (formerly Rational Recovery Self-Help Network). The name is changed to SMART Recovery in October; at the time of this split, there are 42 functioning RR meetings. Founding Board Members include: Dr. Joseph Gerstein, Dr. Tom Horvath, Dr. Philip Tate, Dr. Rob Sarmiento, Dr. Michler Bishop, Rich Dowling, Dr. Jeff Shaler, Ann Parmenter, LCSW, Peter Bishop, Dr. Robert Dain, and Dr. Hank Robb. Rob Sarmiento and Joe Gerstein craft the name Self-Management and Recovery Training (SMART) to fit the copyrighted name, and it is adopted in October. Part-time Executive Director (Randy Cicen) and Manager of Network and Member Services (Shari Allwood) are hired. Central Office is established in Beachwood, OH. The first SMART Recovery Newsletter, News & Views, is released, consisting of 4 pages that are printed and mailed to volunteers. SMART Recovery is adapted for introduction into Danbury Prison for women. The SMART Recovery document Purposes & Methods is adopted by the Board of Directors and distributed. This document helps set the groundwork for how the organization will approach helping individuals overcome addictive behaviors (https://www.smartrecovery.org/about-us). The SMART Recovery Bookstore is established. Groups are asked by the Board of Directors to provide $10/month per group to support the Central Office. The SMART Recovery website is established by a volunteer (moved to www.smartrecovery.org in 1997). There are 90 SMART Recovery meetings (including the RR meetings that will later affiliate with SMART Recovery). SMART Recovery receives a Robert Wood Johnson Foundation grant of $49,650 to develop and disseminate the Coordinator’s Manual, Member’s Manual, and Primer, as well as deliver 6 Regional Training Programs using these materials. The SRBOARD (Board of Directors) and SMARTREC (volunteers) listservs are established. The SMART Recovery 4-Point Program® is trademarked. 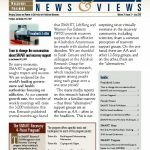 News & Views newsletter expands to 6 pages. The Recommended Reading List is established: Read List. The Coordinator & Advisor Letter is established to create communication amongst all volunteers. Credit cards are accepted at the bookstore. Volunteer Code of Conduct is established to communicate to volunteers what is expected when representing SMART Recovery. Inflexxion submits a grant to NIDA to produce a SMART Recovery prison-based program (InsideOut). This first major NIH grant was awarded in 1999. Arizona introduces SMART Recovery into its prison system. SMART Recovery Online message boards and online meetings are established. Part-time bookstore assistant is added to staff to meet expanding demand for books and materials. News & Views is redesigned and expands to 12 pages. Board decides to shift from S.M.A.R.T. Recovery to SMART Recovery in all written materials. The International Advisory Council, comprised of international experts on addiction recovery, is established. Joe and Barbara Gerstein make the first UK presentation on SMART Recovery in Inverness, Scotland. Fraser Ross, a Corrections Officer at Inverness Prison, Scotland, leads effort to introduce SMART Recovery into the UK. Members and volunteers are invited to nominate individuals for the Board of Directors. The first time SMART Recovery is listed in a NIDA document: reflects growing professional recognition. Annual Training Program is hosted in Chicago, IL. Addition of Online Professional Advisor for SMART Recovery Online activities. Prof. Alex Wodak and Bronwyn Crosby, MS, start SMART Recovery at St. Vincent’s Hospital in Sydney, Australia. Executive Director resigns and is not immediately replaced; the office manager assumes management responsibilities during interim period with Central Office moving to Mentor, OH. Monthly volunteer training (via conference call) is provided by Board Member Michler Bishop. Board approves resolution to involve more non-recovering/non-professional facilitators to provide SMART Recovery meetings. Annual Training Program is hosted in Phoenix, AZ. Following Joe Gerstein’s second visit to Scotland, the first SMART Recovery meetings in Scotland are held at Inverness Prison and Corton Vale (female prison). There are 319 SMART Recovery meetings. Phoenix area hosts Albert Ellis Workshops and shares profits with Central Office. First significant joint meeting of SMART Recovery Online volunteers and face-to-face volunteers via the Annual Training Program. Houghton Mifflin provides a free copy of Anne Fletcher’s Sober for Good to Volunteer Coordinators and Advisors (reflecting SMART Recovery’s choice philosophy). Annual Training Program is hosted in Milwaukee, WI. Joe Gerstein keynotes the Scottish Prison System Conference in Glasgow; InsideOut is adopted as an official program of the Scottish Prison System. InsideOut training videos and materials are published and made available for sale via Inflexxion. Two regional Correctional Facility Training Programs / InsideOut are provided in San Diego and San Jose. Website is redesigned by a volunteer to add additional resources to previously existing small site. Reid Hester’s Drinker’s Check-up is added to the website. Bi-monthly online training program for online facilitators is hosted by Tom Horvath (reflecting the growth of online participation and activities). Online Order System is established for the bookstore to meet increasing demand for publications and services. Annual Training Program is hosted in San Jose, CA. A $500,000 anonymous individual contribution to SMART Recovery (critical to SMART Recovery’s continued growth in subsequent years) is made. First ever SAMHSA grant is obtained to host Facilitator Training and InsideOut® Training, as well as to create the “Facilitating a Basic SMART Recovery® Meeting” video. The term “Coordinator” is changed to “Facilitator” to more aptly describe the group leader role. The size of Central Office space is doubled to accommodate growth in activities and services. The days/hours of the SMART Recovery Manager of Network & Member Services are increased to accommodate increased demand for publications and services. Volunteer Regional Administrator positions are established to provide regional level support for facilitators. Annual Training Program is hosted in Newark, NJ. SMART Recovery material is translated into Spanish, Portuguese, and Russian—the latter with the aid of Dr. Aziz Boltaev of Bokhara, Uzbekistan. St Vincent’s Hospital in Sydney, Australia, pilots one SMART Recovery group for patients who are looking for an alternative or adjunct to 12-Step groups. The new SMART Recovery® Handbook is published (replaces former Member’s Manual). Three additional videos are produced and distributed: SMART Recovery: Who We Are; The SMART Recovery 4-PointSM Program; and Facilitating an Advanced SMART Recovery Meeting. SMART Recovery volunteers and members participate in a NIDA-funded survey conducted by The Walsh Group. SMART Recovery is invited to provide training to the Swedish prison system. SMART Recovery is asked to conduct a training event hosted in Inverness, Scotland. In Sydney, Australia, St Vincent’s Hospital receives a grant for $250,000 from the AER to hire two Coordinators; 38 SMART Recovery groups are launched in New South Wales over the next two years. The State of New South Wales, Australia adopts the SMART Recovery Program within its correctional system. Linda Sobell conducts a full-day workshop on Motivational Interviewing at a SMART Recovery Training Conference; the Motivational Interviewing approach is incorporated into the SMART Recovery Program. Annual Training includes a 10th Anniversary Celebration in Phoenix, AZ. SMART for LifeTM DVD is produced by SMART Recovery volunteer Jeff Fredriksen. Debut of the SMART Recovery Therapy Program designed to help SMART Recovery participants who attend professional addiction treatment and could benefit from therapist support of their SMART Recovery attendance, and to encourage treatment professionals to incorporate SMART Recovery meetings within their practice. Licensing agreement is created for use of SMART Recovery materials within New South Wales Department of Corrections (30,000+ inmates). Licensing agreement is made with the Vietnamese government for use of SMART Recovery in Correctional Facilities. Licensing agreement is made to create the first international branch: SMART Recovery UK. Agreement is negotiated to translate the Facilitator’s Manual and Handbook into Vietnamese. Australia, NSW – group expansion continues, including special meetings for Indigenous. Establishment of full-time SMART Recovery Executive Director position to meet the growing need for oversight on behalf of the organization. Website server is upgraded to accommodate increasing traffic/web-related needs. Website is revised to include online meeting list, list of online volunteers, copies of News & Views, and link to PayPal service. Evoice Café, a voice chat service for voice online meetings, is obtained. SMART Recovery Online celebrates its 7th anniversary with a party and fundraiser. Copyrights are obtained for 4 videos and a new SMART Recovery Handbook. SMART Recovery® service mark is registered internationally via Madrid Protocol. Toll free number is added for the Central Office. 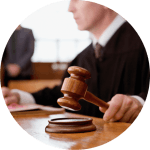 Drug court training is provided in Mankato, MN. Training is provided in Vietnam to help implement the SMART Recovery program in correctional facilities. Participation in the American Correctional Association Winter Conference. Presentation to the National Drug Court Institute. Presentation to the Ohio Drug Court Practitioner Network Conference. Exhibit at UKSAD Conference in London. Participation in sessions at the Natural Recovery Alcohol Conference in Aberdeen, Scotland. Funding is obtained for creation of new SMART Recovery Teen Handbook. Annual Training is hosted in Chicago, IL. First SMART Recovery community meeting in Scotland is held at Beechwood House in Inverness. There are 255 SMART Recovery meetings. Implementation of Facilitator Distance Training program – combination of self-study of SMART Recovery materials plus 4 online training sessions of 1.5 hours each led by experts. Part-time Director of SMART Recovery Online (SROL) is implemented to address growth and expansion issues. Formation of SMART Recovery UK – a registered charity in Scotland. Queensland, NSW Correctional Outreach – 50 weekly SMART meetings available in 25 of 28 Correctional Facilities; 2-day training of 80 new facilitators. Vietnam: SMART Recovery training is provided by Tom Horvath and Henry Steinberger. Full-day workshop led by Robert Meyers on CRAFT at a SMART Recovery Training Conference is followed by adoption of the CRAFT Program as an appropriate “Family & Friends” approach. It is made available via online message boards and weekly meetings. Note: weekly meetings ceased in 2007 when volunteer facilitator moved on, but resumed in 2010. Publication of SMART Recovery® Teen Handbook. SMART Recovery member stories are featured in each issue of Recovery Solutions Magazine. Debut of new/revised Message Boards with enhanced features. Creation of online Women’s Meeting and Women’s Message Board Forum. Online Member Feedback Group is established to provide feedback from members for ongoing online service improvements. Fall FUNdraiser to celebrate 8th anniversary of SOL includes a 24-hour chat-a-thon. Annual training program is hosted in Boston. Note: Decision to alter long-standing Annual Training Program (return on investment not profitable) to annual conference of SMART Recovery volunteers to take effect in 2007. Board approval to establish local and state/provincial chapters of SMART Recovery. Formation of volunteer-led committees, including: Correctional Issues, Facilitator Development, Fundraising, Local and Organizational Development, Marketing, and Program Development. Dr. Joe Gerstein (Boston) and Tom Litwicki (Phoenix) do first intercontinental SMART Recovery Training via videoconference with 63 Masters and PhD. therapists of New South Wales Correctional System in Sydney, Australia. SMART Recovery-USA gives permission for Addaction to start SMART Recovery meetings in the UK as part of their treatment services. Service mark is obtained for 4-Point Program®. SMART Recovery Handbook is published in German. SMART Recovery Therapy Manual is completed – a 38-session program and intervention guide for professionals assisting clients with drug and mental health issues (outside organizations sought to publish). Google Advertising campaign grant is provided to SMART Recovery. Reid Hester SMART Recovery Webcourse prototype is established/tested. 9th Circuit Court Ruling establishes that a government official who mandates 12-Step attendance to any person is personally liable for damages. The ruling extends to decisions dating back to 1996, by the 2nd, 3rd, 7th and 8th circuit courts, as well as by several state supreme courts. Active involvement in groups significantly improves the chances of remaining clean and sober, regardless of the group (SOS, SMART, WFS, 12-Step) in which one participates. Respondents whose individual beliefs better matched those of their primary support groups showed greater levels of group participation, resulting in better outcomes as measured by increased number of days clean and sober. Religious respondents were more likely to actively participate in 12-Step groups and WFS, both of which have spiritual components in their programs. Non-religious respondents were significantly less likely to participate in 12-Step groups. Respondents with low levels of religiosity were more likely to actively participate in groups with secular programs, such as SOS and SMART Recovery. First Annual Fall Volunteer Gathering is hosted in Lake Tahoe, CA (replaces prior F2F Fall Training). Facilitator Distance Training is provided in March, June, and September. Professional assistant is hired to address Fundraising and Strategic Planning issues. SMART Recovery Online 9th Anniversary and Fall Fundraiser. Fiscal year altered from prior April 1 – March 31 fiscal year to January 1 – December 31. First SMART Recovery meeting in England after formation of SMART Recovery UK is held in Manchester. Nick Heather and Keith Humphreys receive Section 64 funding to pilot SMART Recovery in 6 sites in England under the leadership of Alcohol Concern; the sites include YMCA in Croydon, Norcas in Norwich, Aquarius in Birmingham, SAASD in Sheffield, Turning Point in Gateshead, and Addaction in Cornwall. Linda Sobell, Barry Grant (SMART Board member), Bronwyn Crosby (SMART Recovery Australia), and John Sinclair (SMART Recovery facilitator) keynote the SMART Recovery conference in Glasgow, Scotland. In Australia, a donation is made by a private benefactor to continue the work started under the AER grant on the condition that SMART AU become a non- profit, health charity organization. SMART Australia moves out of St Vincent’s Hospital, Sydney in Darlinghurst with full support from the hospital. SMART was endorsed as a Not-for-Profit, Health Promotion Charity. The initial Board of Directors includes Australia trustees Anthony N. Wales (Chartered Accountant), Philip C. Selke, Alexander D. Wodak (Medical Practitioner), Joseph Gerstein (Medical Practitioner situated in USA), and Sue Henry-Edwards (Advisor Consultant to the Department of Corrective Services in NSW). SMART Recovery Coordinators Josette Freeman and Jim Villamor, who were previously employed by St Vincent’s Hospital, commence employment with SMART Recovery Australia. Efforts to start SMART groups are extended to all of Australia, and groups are promoted to include all addiction. Ongoing partnerships are developed with the Department of Corrective Services, NSW, and Tasmania for continuation of SMART Recovery groups within their facilities. There are 375 worldwide SMART Recovery meetings. First ever Member/Participant Survey is conducted in July of 2008. Strategic Planning session is hosted with the use of a professional facilitator. Four primary focuses of the Strategic Plan include: fundraising; increasing the number of meetings available; determining the need for changes to existing materials; and website redesign. Teams are created for materials revision, website revision, and meetings expansion. Professional fundraising assistance is obtained. SMART Recovery NYC® is created and incorporated. Participation in the 33rd Annual Alabama School of Alcohol and Other Drug Studies (ASADS) Conference – Plenary session, InsideOut Workshop, SMART Recovery Therapy Workshop, and Managing Addictions Workshop, each highly successful. Participation in Michigan Association of Drug Court Professionals 9th Annual Conference in Lansing, Michigan, including booth and presentation. Handbook is translated and available in Portuguese and Spanish. New venue (Paltalk) for online voice meetings debuts in an effort to improve prior system instabilities. Advertising in News & Views is made available. Special tool training program for online volunteers debuts – 2 per month. Conference call for Executive Directors of alternative self-help groups debuts. Distance Facilitator Training is hosted bi-monthly (6/year vs. 3/year) based on increasing number of participants. Annual Volunteer Gathering is hosted in New York City. There are internal discussions/tensions over whether SMART Recovery should evolve toward a participant/peer-led organization. Dr. Linda Sobell and Dr. Tom Horvath (President of SMART Recovery) speak at Scotland Futures Forum. SMART Recovery in Australia obtains a $20,000 grant from Juvenile Justice (JJ) NSW to hire a consultant to assist with rewriting the Teen/Youth Manual and network with Teen/Youth organizations throughout the country. There are 466 SMART Recovery Meetings. SMART Recovery® Handbook is published in Farsi and Mandarin Chinese. Website revisions are underway, additional funding is being sought. Social Media is underway – Facebook page and Twitter account are created. 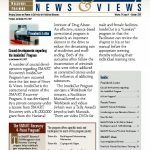 News & Views is available on the website — no longer printed and mailed. Facilitator’s Manual is provided online for free. Annual Gathering Sponsorships and Website Supporter options are offered. SMART Recovery Online celebrates its 12th Anniversary, complete with a multitude of special guests and online festivities and an Anniversary FUNdraiser. Third Annual Gathering is hosted in October in Chicago, IL. SMART Recovery is added as a Recovery Month Planning Partner (sponsored by SAMHSA). 11 Regional Representatives are appointed to stay in contact with local facilitators and members and to attend a quarterly online meeting to collaborate and share ideas on increasing SMART Recovery meetings. SMART Recovery offices are moved to a more cost-effective location. Insurance policy is added to cover volunteer facilitators and meeting locations to meet the increasing need for proof of insurance for meeting space. SMART Recovery premieres “Big Bang” organization at Foundation Beyond Belief (including funding). Participant survey is designed to solicit volunteer assistance. SMART Recovery Australia launches a new website smartrecoveryaustralia.com.au. 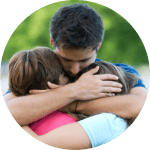 SMART Recovery Australia receives a grant for $20,000 from NADA (The Network of Alcohol and Drug Agencies) to develop a Family and Carer’s Program. SMART Recovery celebrates 15 year anniversary. Organization confirms commitment to operating as a partnership between participants and professionals. There are 540 SMART Recovery meetings. SAMHSA Recovery Oriented Systems of Care Grant application is submitted in partnership with Atheist Alliance International. 600th SMART Recovery meeting is established in October, 2010. Website supporters are added to website homepage. Social Networking Team is established to help determine cost-effective means for the Central Office and Groups to become better known. Collaborations with other alternative mutual-help groups included providing a press release, Celebrating 84 Years of Providing Self-Help in Recovery. Collaborations with other alternative mutual-help groups include provision of a 2-page brochure containing information regarding each organization provided to the EAP BIG project. Website improvement/redesign continues in order to enhance the visitor’s ease of finding information, improve search engine optimization, and enhance the appeal of the website. New chat host is selected for online meetings and chat to include Mac users (not served by prior chat host). Online Family & Friends Meeting debuts, incorporating SMART Recovery Tools and CRAFT concepts. SMART Recovery Online celebrates its 13th Anniversary, complete with a multitude of special guests and online festivities and an Anniversary FUNdraiser. Participation in August Recovery Fair hosted by Unitarian Church Addiction Recovery ministry. Distance Facilitator Training program is altered to include Message Board homework activities/communications. Work begins with the Alcohol Research Group to perform SMART Recovery study. SMART Recovery UK 2-year project to incorporate service providers to assist is conducted. Organizational stance is altered – new Disease/Spirituality statements are issued: Addiction as a disease: SMART Recovery tools can help you regardless of whether or not you believe addiction is a disease. Spirituality: We believe that the power to change addictive behaviors resides within each individual and does not depend upon adherence to any spiritual viewpoint. The use of religious or spiritual beliefs and practices in recovery is a personal choice and not a part of our program. Guardian newspaper (UK) interview/article with Joe Gerstein promulgates much program interest and website traffic. Participant survey (repeat of 2008 survey) to determine changes in demographics of participants within each individual and does not depend upon adherence to any spiritual viewpoint. The use of religious or spiritual beliefs and practices in recovery is a personal choice and not a part of our program. 6-week online Jobs Series to address helping out-of-work individuals seek employment and handle the stresses of unemployment is conducted. Press Releases are issued regarding: Job Search program; November Online Anniversary Celebration; 600th meeting announcement; Family & Friends Online Meeting; Recovery Month Planning Partner; and Annual Gathering. Net profit is reached at the end of the fiscal year, and for the 1st time since 2003, funds from investment accounts aren’t required to be tapped in order to pay bills. SMART Recovery groups exist in Uzbekistan, Iran, Sweden, the UK, Canada, Australia, New Zealand, and Vietnam, with groups in the planning stages in Russia. $5,000 is received from the James Hervey Johnson Charitable and Educational Trust for spreading addiction recovery via SMART Recovery® Website Enhancements. SMART Recovery meetings are started in Johannesburg, South Africa by Mohamed Majid, extending SMART Recovery’s presence to its 6th continent. Dr. Joe Gerstein interviewed about SR on The Islamic Network, broadcast to 140 countries. Alcohol Concern sponsors first UK Conference on SMART Recovery. Dr. Joe Gerstein presents keynote address to 250 professionals and participants. There are 622 SMART Recovery meetings; the UK has 63 peer-led meetings and 20 professionally led meetings. Strategic Review of SMART Recovery UK report is published and affirms SMART Recovery as a partnership model between peers and professionals. Representation of recovered individuals on the SMART Recovery Board of Directors reaches 50% for the first time. SMART Recovery/Massachusetts celebrates its 14,000th group meeting. SMART Recovery is given exhibition space at the Harvard Addiction Conference in Boston for first time, informs over 60 visitors about the program, sells out most of its materials, and arranges for 6 new meetings in 5 different U.S. cities. smartrecovery.org accepts its 30,000th registrant. Registrations occur at about 700 per month, primarily from the US, UK and Australia. SMART Recovery Australia pilots Be SMART: Family and Carer’s Program. SMART Recovery groups in Australia grow from 32 in 2007 to 90 in 2011. EAP Think Big Project – SMART and other alternative recovery organizations represented in materials distributed to behavioral health clinicians for referrals to self-help programs. EAP BIG project webinar presented to EAP staff. Special events established and podcasts published, http://www.smartrecovery.libsyn.com/. John Kelly, PhD, appointed as SMART Recovery Research Director; Julie Yeterian, appointed as Assistant Research Director. Distance Training now delivered via online Moodle platform in order to accommodate monthly Distance Training programs. Research by Deirdre O’Sullivan, Penn State University to assess self stigma, locus of control, help seeking, self-efficacy, and satisfaction with life among AA and SMART members. Team established to update the SMART Recovery Handbook and Facilitator’s Manual. Publication of the SMART Recovery Motivational Guide & Workbook for Healthcare Professionals. Publication of the Addiction and Co-Occurring Disorders from a SMART Recovery® Perspective: A Manual for Group Therapists. SMART Recovery presentation at Recovery Schools Annual Meeting, Cleveland, July 2011. Annual Survey redesigned to learn more about program participants – 483 participants responded to survey. InsideOut®: A SMART Recovery Correctional Program rights transferred to SMART Recovery. Annual Conference hosted in October in Baltimore, MD. New effort to have facilitators “pass the hat/pass the brochure” – handout a brochure in addition to passing the hat to increase awareness of the program. Special events included Anatomy of Emotions, Overcoming Procrastination, and Relapse Prevention. Handbook translated into Danish and available in bookstore. 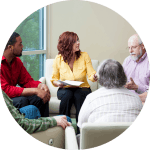 SMART Recovery UK develops partnership model to partner with treatment centers to train to begin meetings in their centers, as well as to support local peer-led meetings. Podcasts available for special events http://www.smartrecovery.libsyn.com/. Court outreach team established to help increase awareness and referrals to SMART Recovery. 4-Point Program® wording simplified to: 1. Building and Maintaining Motivation; 2. Coping with Urges; 3. Managing Thoughts, Feelings and Behaviors; and 4. Living a Balanced Life. As of 12/31/11, there were 667 SMART Recovery meetings worldwide. 1st Mandarin Chinese online meeting began in April. Online registrations increasing to 1,000+ per month. One millionth visitor to website on January 22nd (since tracking in began in March 2007). “April is Volunteer Month” – push for volunteer solicitation and fundraising effort – over 50 scholarship applications received as of 4/18/12. Special events included Is it True, or is it Helpful?, The Art of Living Series, and Combating Procrastination was made into a video series. Half-time new staff member added to the Central Office. Partnership with addctionblog.org to feature 17 SMART Recovery blogs. Trademarks and copyrights obtained for InsideOut materials. Australia provides new Family & Carers program for loved ones – US is editing participant manual and facilitator guide for Family & Friends Meetings in the US — 1st Family & Friends Face to Face Meeting debuted in Columbia, Maryland in April. Australia revised Teen & Youth Handbook. Addition of “FIT” Facilitator in Training online meetings allowing new distance training graduates to practice facilitating an online meeting. “Landing pages” established for website on specific addictions, i.e., eating disorders, gambling, smoking, etc. to help people find SMART when performing internet searches. Podcasts of 2012 special events http://www.smartrecovery.libsyn.com/. UK has 80 SMART peer-led meetings and 48 meetings within treatment facilities – expanding at fast pace. UK has 1,100 enrolled in training program, with 300 completions and many in midst of completion. Australia has been working in partnership with several Teen/Youth agencies in NSW to pilot an 8 week Teen/Youth SMART group in the communities. On April 15th there are 698 SMART meetings worldwide. 1000th meeting milestone! 1098 total worldwide meetings at close of year. Family & Friends Facilitator’s Manual and Handbook published and copyrighted. Teen Handbook published and copyrighted. 3rd Edition Handbook published and copyrighted. InsideOut® Correctional Program available via SMART Recovery Central Office. SMART Recovery Activities Scale (SRAS) revised. Overcoming Addictions Web course debuted. Family & Friends pilot – working with pilot group establishing F2F F&F meetings. SROL Teen & Youth forums and online meeting established. Special Events and Podcasts featured SMART Help for Family & Friends with Dr. Robert Meyers; Adventurous Living, with REBT expert Ed Garcia, Part 1 — Emotions and Challenges; Adventurous Living Part 2 — Intimate Adventures: Close Associations; Checklists for Recovery Webinar with CBT Founder Donald Meichenbaum, Ph.D. and Julie Myers, Psy.D. ; “Inside Rehab” with Anne Fletcher; ACTing SMART with Dr. Hank Robb – Dipping into Acceptance and Commitment Therapy for some SMART Ideas! ; CRAFT for Families & Friends with Robert J. Meyers, Ph.D.; “Acceptance is … Embracing Reality” with Dr. Tom Horvath; Thirteen Tips to Make 2013 Your Best Year Ever; a Webinar with Dr. Bill Knaus. Volunteer of the Year Award: Jim Brastaad and Jill O’Neil; Leadership Award: Darren Ripley; Joseph Gerstein Award for Exemplary Service: Dolores Cloward. Distance training – new server, upgraded Moodle, new GotoTraining used as meeting room for role play and meeting with the President. In-house training program created and provided to three US treatment facilities. National Association of Drug Court Professionals endorses SMART Recovery Program. Dear Abby and Katie Couric press coverage resulted in many inquiries. NAADAC webinar on Choices in Recovery Programs – highly-rated and well received. The website surpassed 1 million visits (1,099,396) for the year as traffic, overall, continued to increase. Denmark received $1.8M distributed to 5 organizations to start new SMART meetings throughout Denmark. Discussions underway with Ireland to regarding expansion opportunities in Ireland. Work with Sweden regarding prison outreach. Licensing Agreements for: Arabic Handbook Translation; Swedish Handbook Translation; Russian Handbook Translation. Social networking – Facebook, Twitter, Blog, enjoy continued growth. Acknowledgments: The following individuals served as key sources of information in the compilation of this chronology: Josette Freeman, Joe Gerstein, Tom Horvath, Tom Litwicki, Richard Phillips, Fraser Ross, and Jim Villamor.